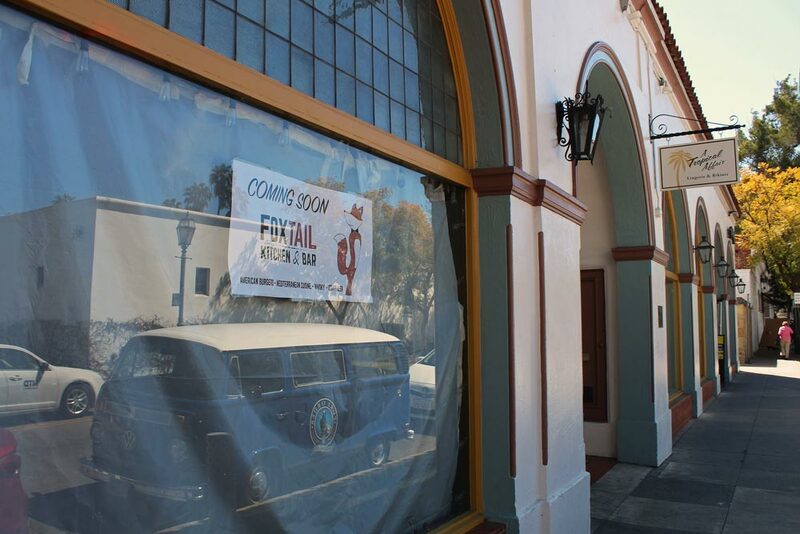 Fans of American Ale’s burgers need not fear: Foxtail Kitchen & Bar, taking over the Santa Barbara restaurant’s 14 E. Cota St. spot, is keeping many of them. Maayah plans to open at the end of March, a few months after American Ale closed its doors there. Originally from Jordan, Maayah, already close with his predecessor, worked in and managed various markets around Santa Barbara and Camarillo before deciding to open his own establishment. In addition to the gastropub burgers, Foxtail’s focus will be on Mediterranean cuisine, including shawarma tacos and what Maayah hopes will be the No. 1 falafel in town. “I’m so excited, but I’m really nervous at the same time,” the 30-year-old said. Foxtail will also offer 24 craft beers on tap and homemade whiskey. Over half of Maayah’s employees will be carried over from American Ale, which he said is now focusing on its 214 State St. location. Making his restaurateur debut easier, he added, is having rent for his high-profile location considerably lower than that of his neighbors. The other locations he considered during his search offered the prohibitively high rates typical of downtown’s prime real estate, he said.